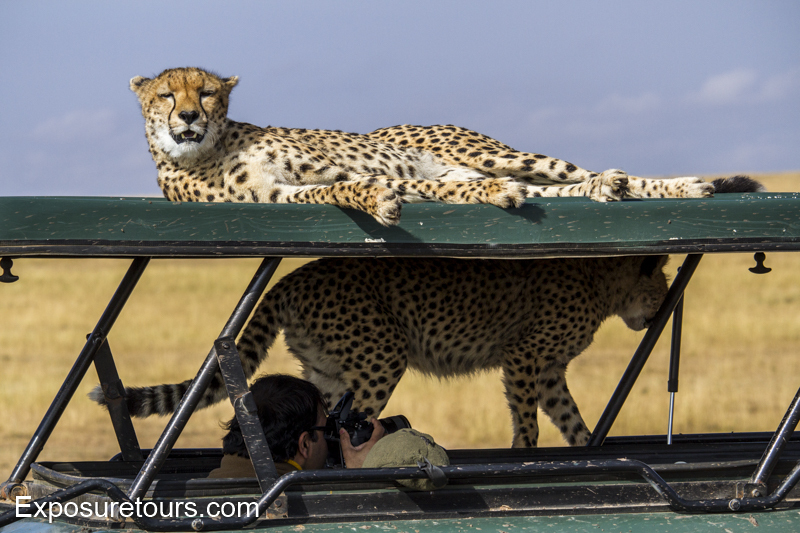 It’s not uncommon for one or two cheetahs to hop onto a vehicle in order to get a better view of any potential prey, however for 5 cheetahs to do it is something truly unique. 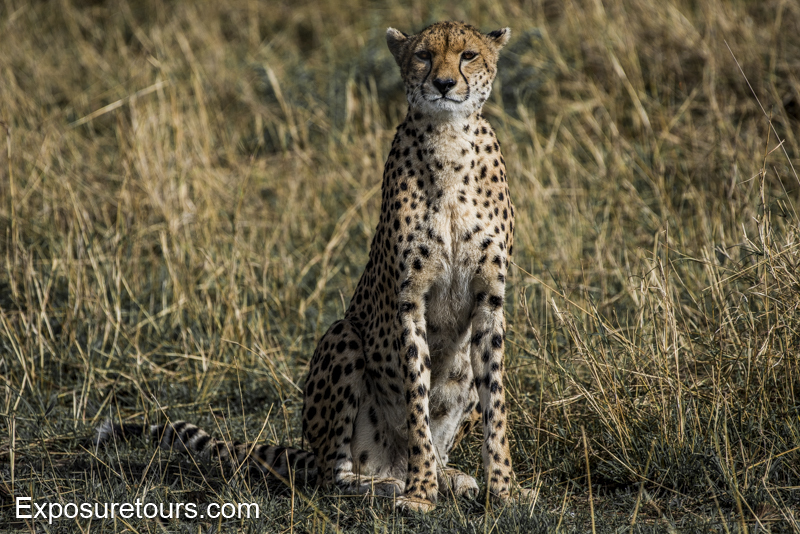 I had come across Malika (named by the Rangers who keep a good watch on her) two years ago when she had six cubs, like most cheetahs she has a calm manner as long as you respect her, stay in your vehicle and stay calm yourself. Not wanting to disturb the family we kept our distance but one of the more curious cubs headed directly for us and jumped onto the vehicle. After a few seconds she stepped off and we backed further away. A film crew was also at the location and have been making a documentary that will be aired this year. Malika decided she wanted to greet us and moved with her cubs, we could have raced off and risked a catastrophe as she and the cubs scattered and followed us, or just stayed put. With the rangers keeping watch at a distance and prepared to intervene if they felt necessary, we let her come over. Soon we had 5 cats on our vehicle with mum taking the top roof spot. Starting the engine or moving again would have panicked the family so we let them roam free until the family was ready to move. We are after all, visitors in their home. The cubs played with several rubber parts on the vehicle. One kept on walked right over us from the front to the back and I had to remove our bean bags as they seemed to take a liking to them. 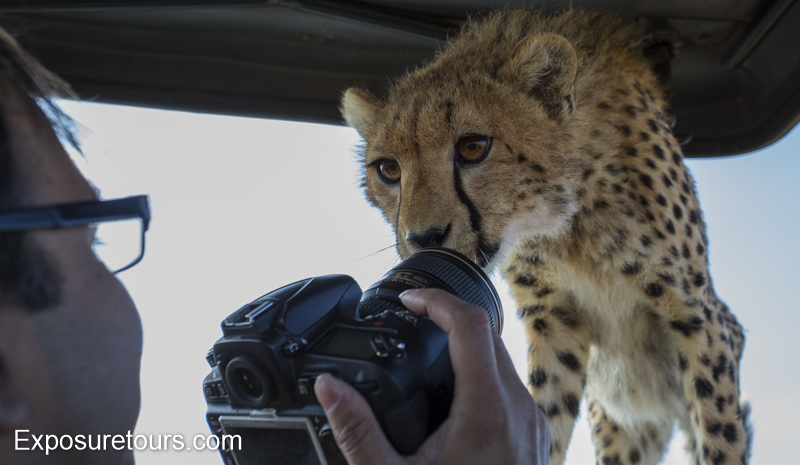 The crowning moment for me was when one of the cubs bent right into the vehicle and kissed my lens. Needless to say we got some amazing shots from both inside and outside the vehicle. I hope if I am lucky to see her again both her and the cubs will be flourishing. 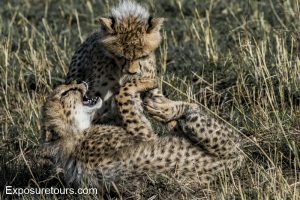 As a final note I will add that no encouragement was given to the cheetahs (quite the opposite in fact) and throughout the amazing experience all park rules were adhered to by our professional guides. 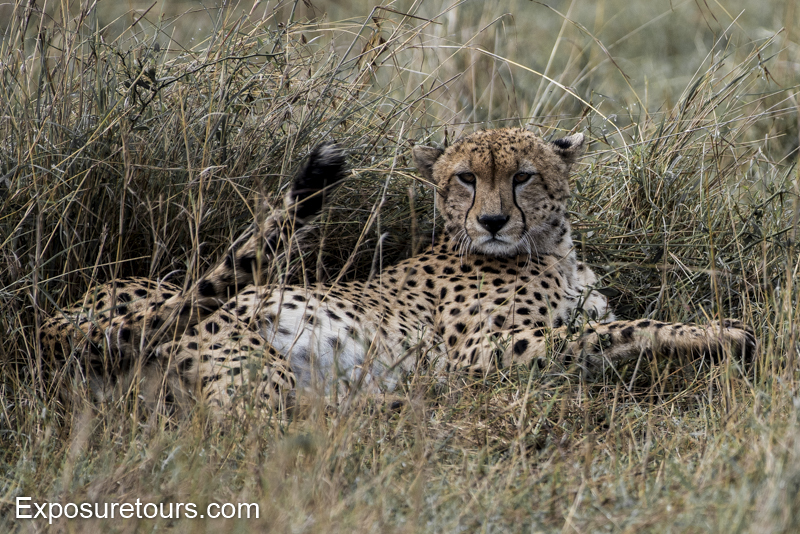 This year we caught up with her on our second day in the mara. As usual the game rangers were close by and instead of a camera crew she now also had some researches documenting her life. I was over joyed to see her with two new cubs. The previous four had left around six months after I saw them. 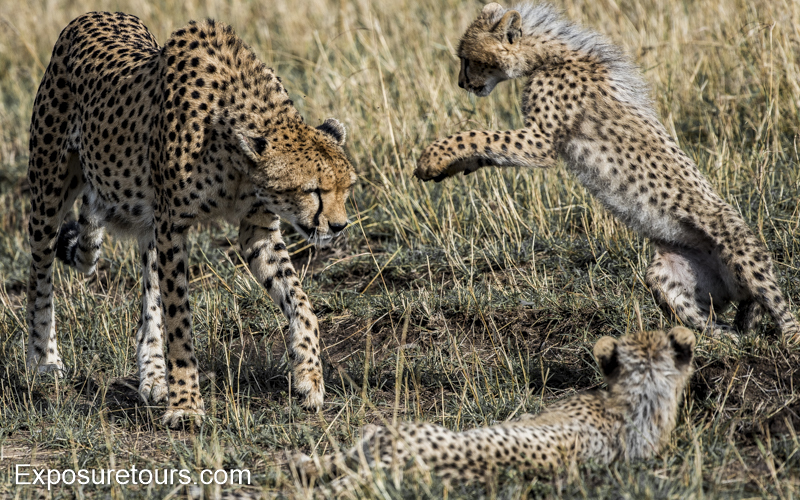 Im not sure of her total litter this year, one year she had six which is typically the maximum for cheetahs. 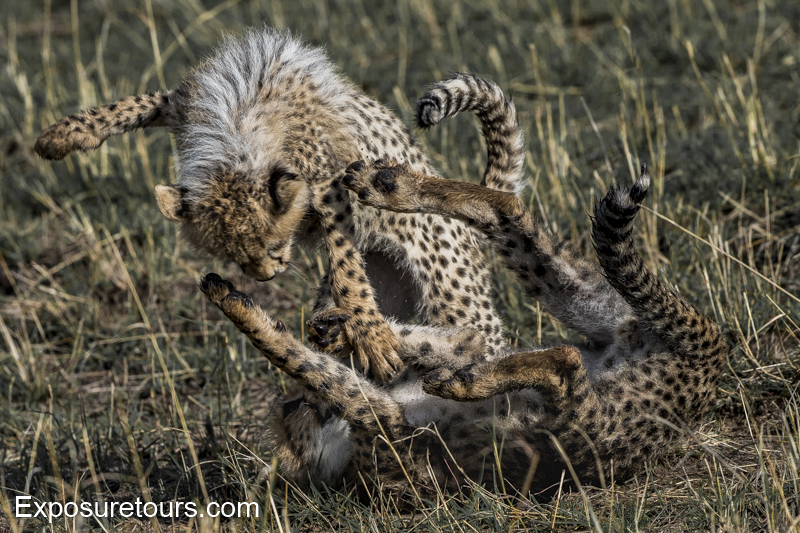 These young cheetah twins were already starting to portray their own personality. One was the mischievous instigator pushing the other to play and practice their skills. Malika looked on happily as they ran around in the grass oblivious to the cameras. 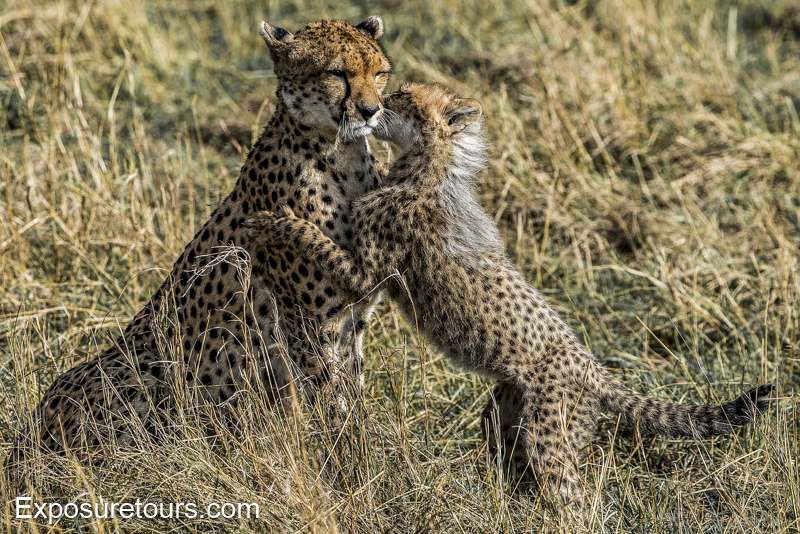 When she approached them the more energetic cub leaped and tried to trouble her as much as possible. 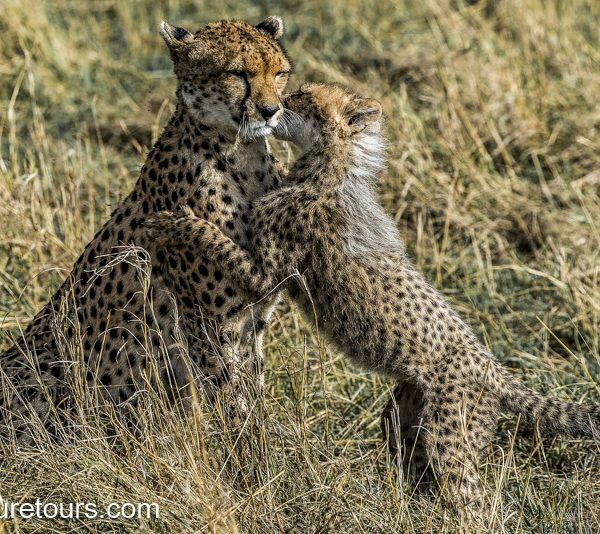 She appeared to be as gentle as she was with her last cubs, keeping them clean and making sure they didn’t get into too much trouble. 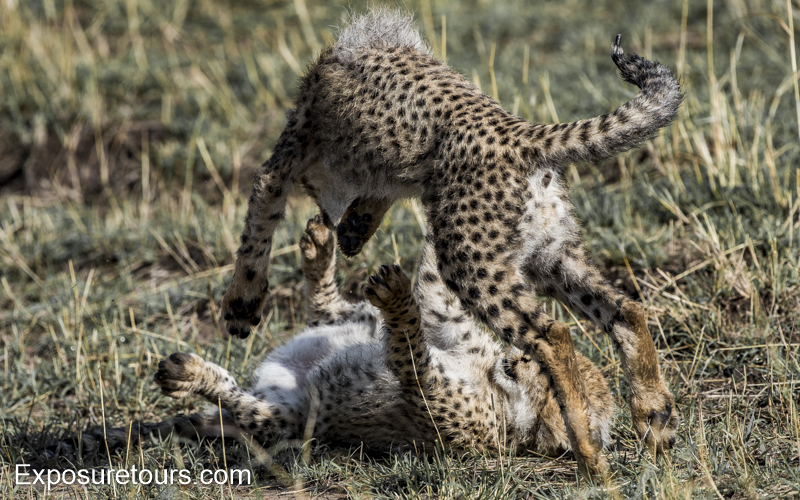 I’ll be leading another photo safari this year and hope to see her then and check how the cubs have progressed. 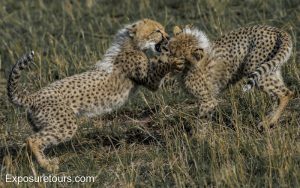 For these cub shots subject distance was 20 meters and under so most images are in the 300mm range. Using the Nikon 200-500 F5.6 at 1/1250 iso 250. Hand held, shooting from the vehicle window to keep an eye level perspective. 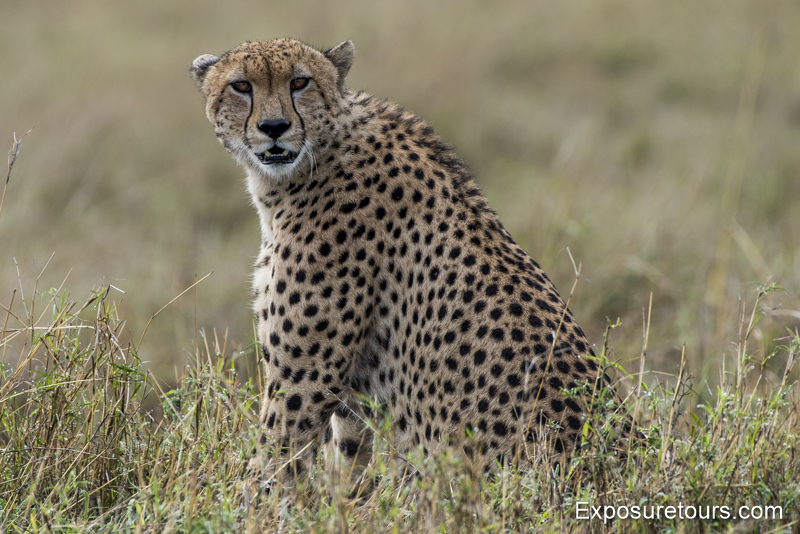 In a captivating display of learned behavior, a female cheetah named Malaika at the Maasai Mara National Reserve in Kenya climbs onto tour vehicles as a means to gain elevation to make it easier to spot prey on the horizon.